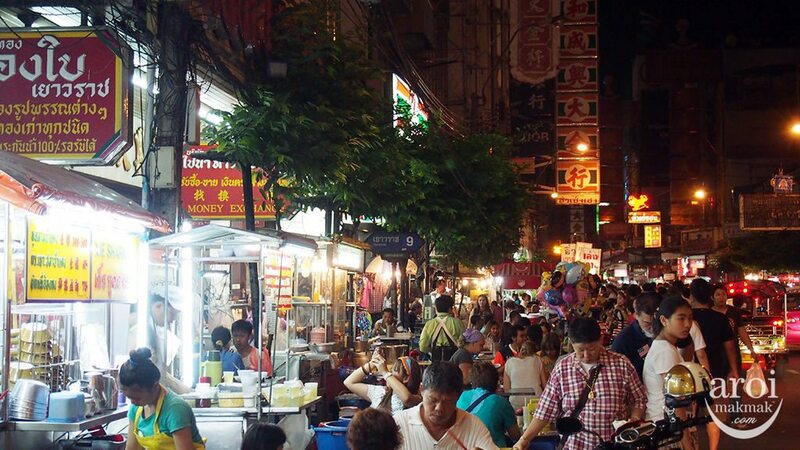 When visiting Bangkok, you definitely must make a trip down to Yaowarat (Chinatown). 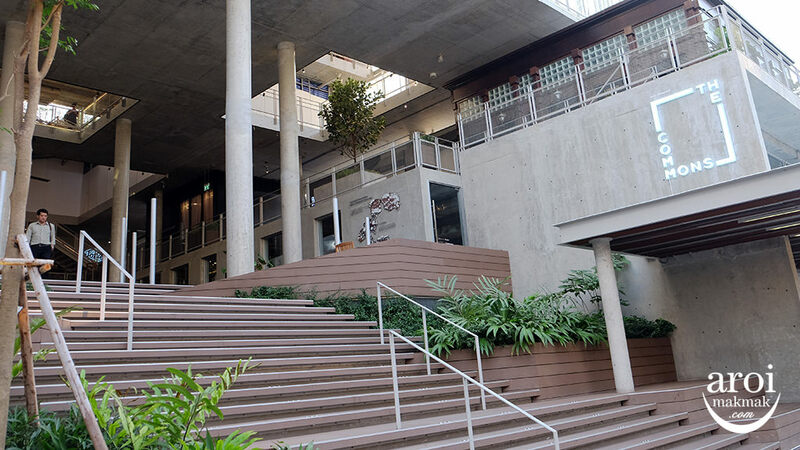 I love the vibe there, always lively and so happening with lots of good food around. However, be prepared for taxi drivers to reject you as they will tell you that there will be a traffic jam and they will want to charge you a flat rate. If you are patient, just wait for the next one as there will definitely be a honest driver who will bring you there by meter. Oh, avoid coming here on Mondays because street vendors are not allowed to operate and hence many of them will not be around. 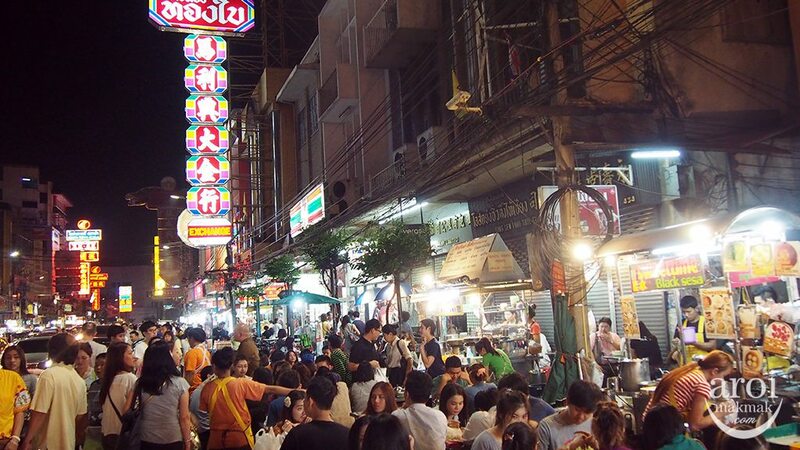 When arriving here, you will see many people, not shopping but eating. 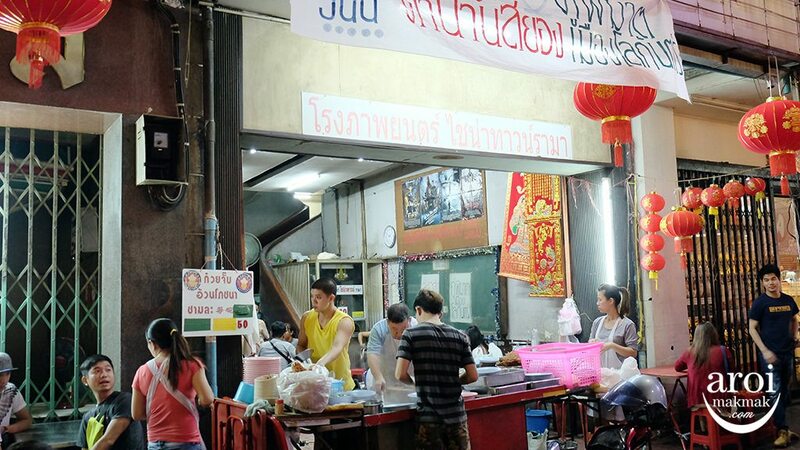 There is so much to eat here and even after visiting this place so many times, I have not finished trying all the stalls. 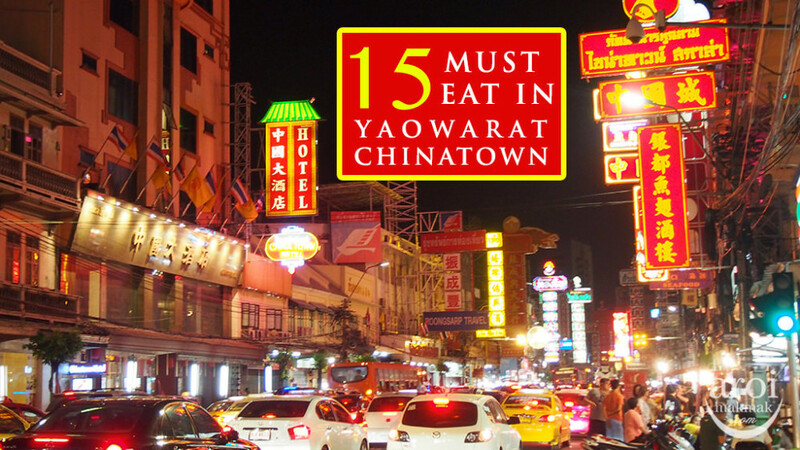 But still, here are 15 MUST EAT in Yaowarat Chinatown! 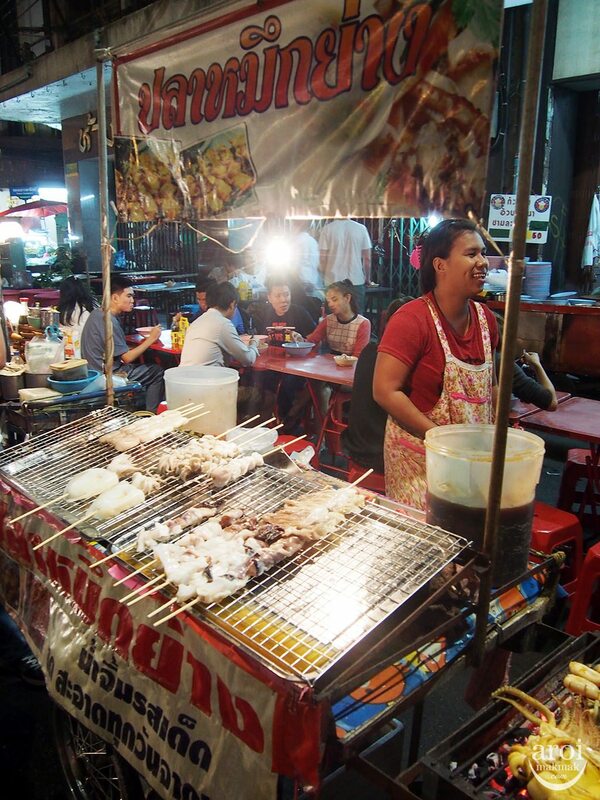 Yaowarat Toasted Bread is always seen with a long queue, patronised by both locals and tourists. It’s buttered toast is crispy on the outside and soft on the inside. What makes it even more delicious is its filling. 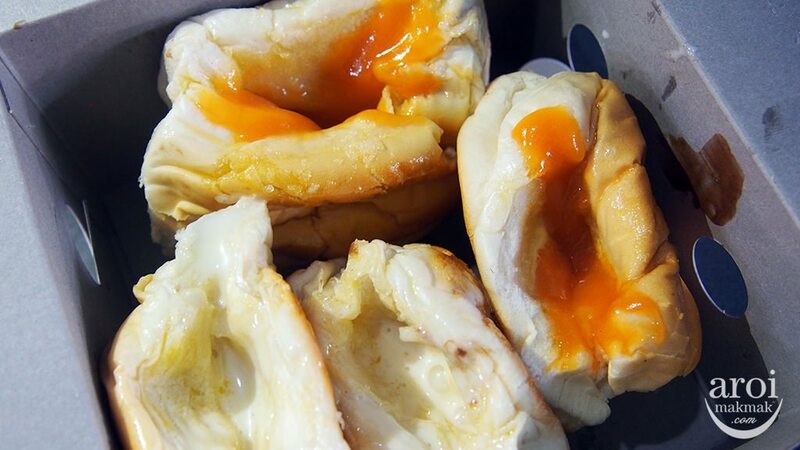 My favourite filling is Condensed Milk & Sankaya. This Kway Chap is different from Singapore’s version. 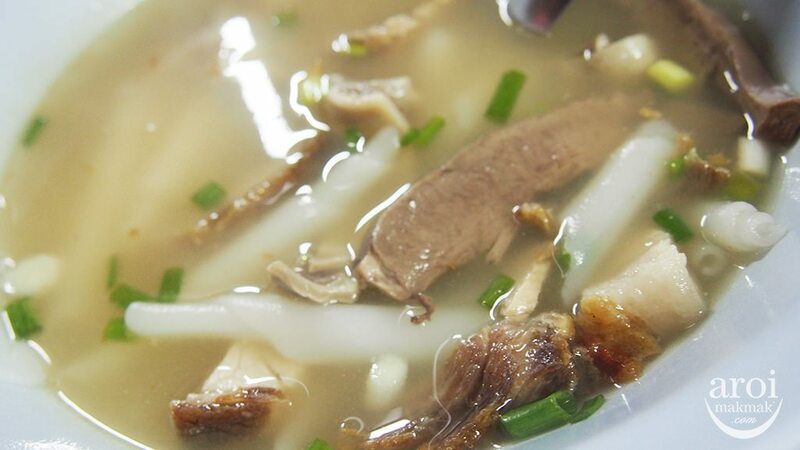 The soup is very peppery and it comes with rice noodle rolls and different parts of the pig. 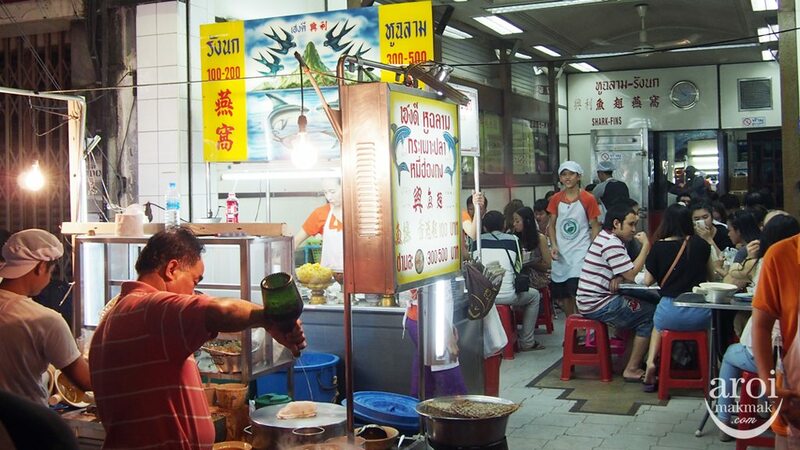 The thai pepper used makes the peppery soup so popular that locals keep coming back to eat. 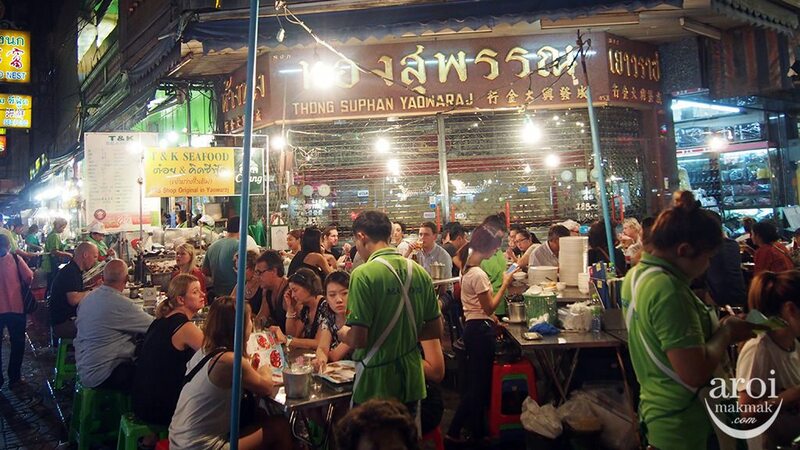 The most popular cheap seafood restaurant in Yaowarat Chinatown is T&K Seafood (in green shirts). You see queues forming during dinner hours and they are seated along the road. They do have indoor air-conditioned seats but it will take a longer time. If you don’t mind eating along the road and have no problem with hygiene issues, do try it. Their food is delicious! You can find Bird’s Nest almost in every corner of Yaowarat. I like coming to this shop called Xing Li. It starts from 200 baht per bowl and I prefer having the hot version so that you bird nest will not be mixed with ice bits. 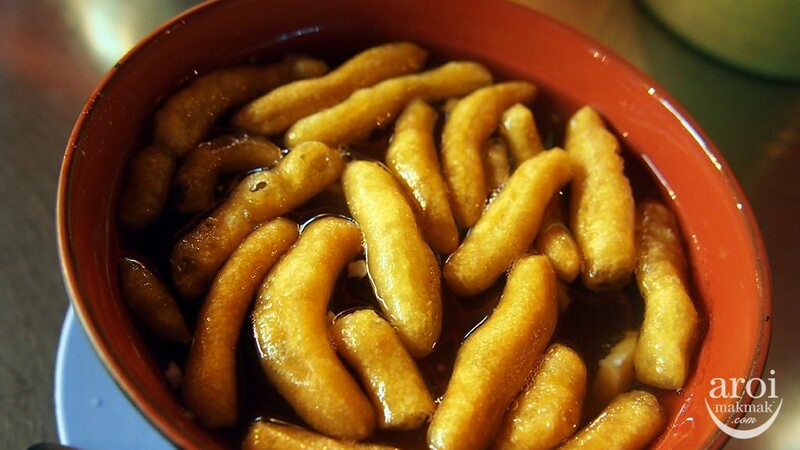 Patonggo is actually Fried Dough Sticks (You Tiao). 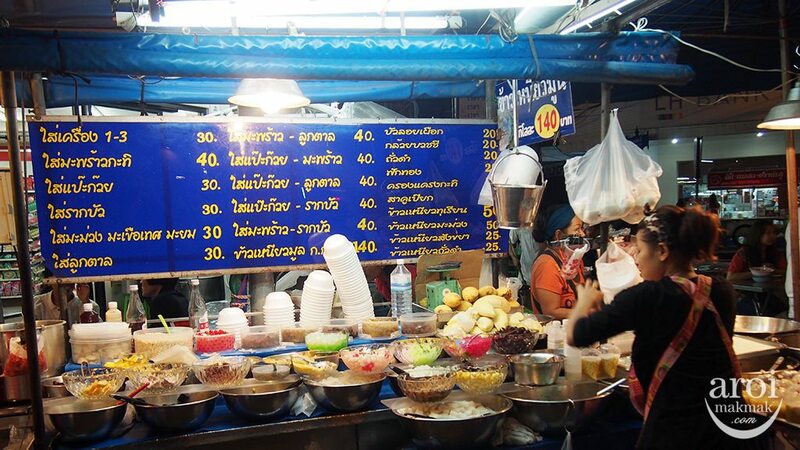 The thai version is a little different, it’s smaller in size and this particular stall does it differently. You can drizzle sauce on it and this sauce is sangkaya (kaya). A new way of eating and of course, very beautiful for photos. 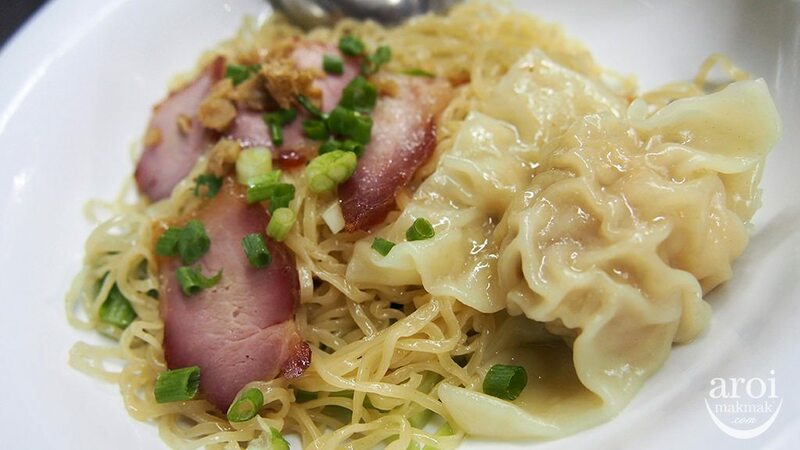 Ba Mee (Wanton Noodle) is a popular dish with Singaporeans. 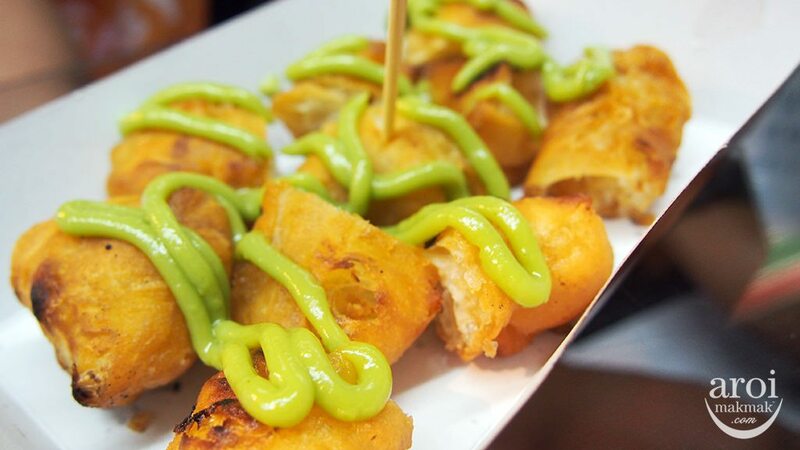 The version here is pretty good and the portion is just right so that you can eat other street food later. This grilled squid is currently the best I have tried. 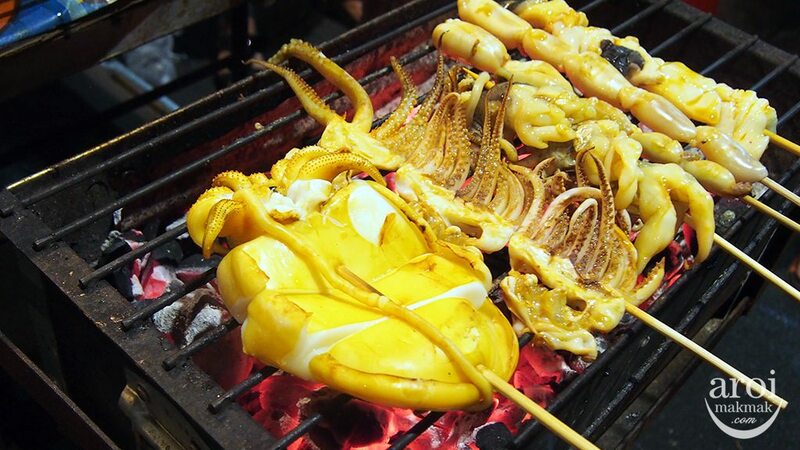 The squid is grilled to perfection, not too hard nor too soft. If you can take spicy food, make sure you add in the chilli sauce because it makes it even more delicious. It’s super spicy but at the same time, so shiok. 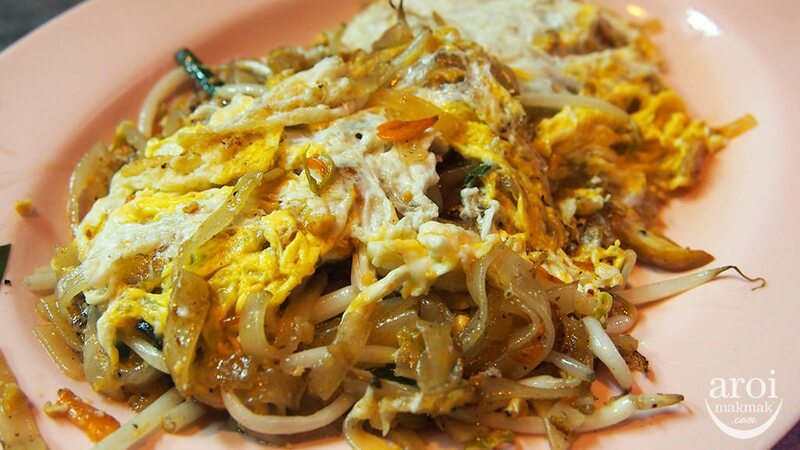 This Pad Thai is less sweet and stronger in “wok hei” flavour. 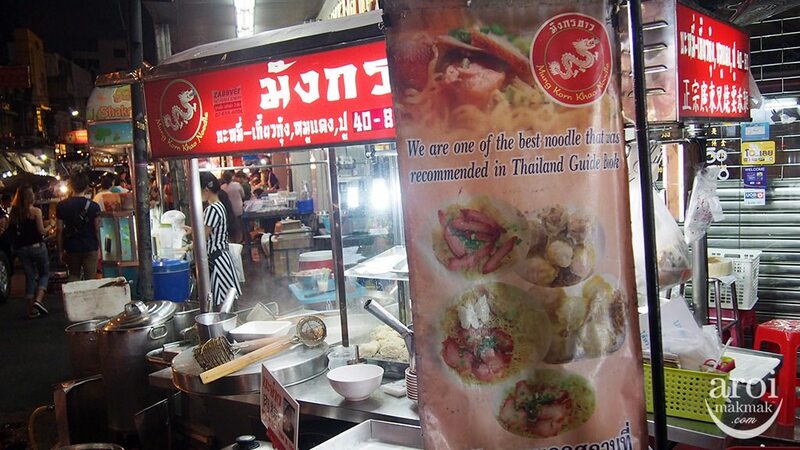 If you want a good Pad Thai that is not so sweet, this is the most suitable for you. 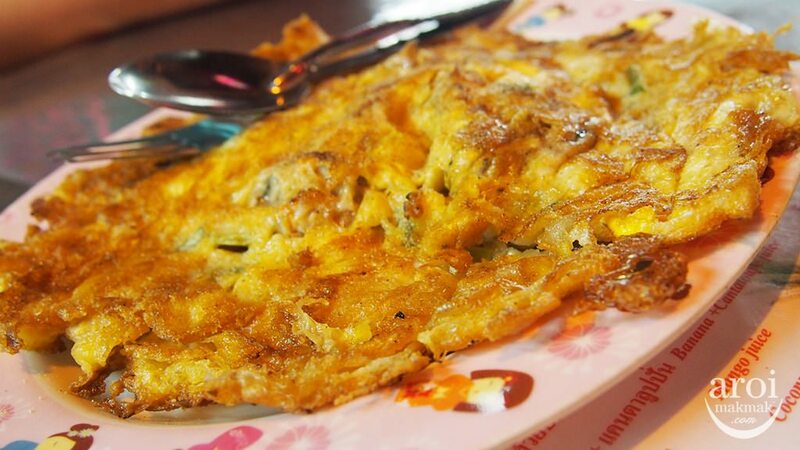 They also sell mussels omelette which is delicious too. Crispy on the outside. 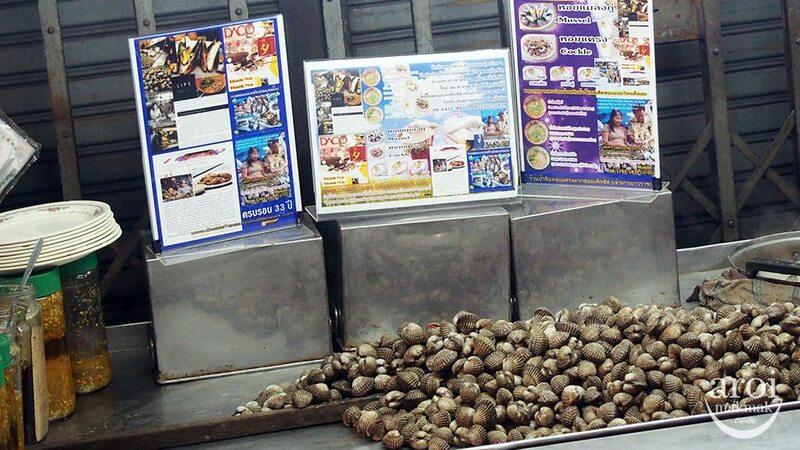 This stall specialises in cockles and they are very popular. 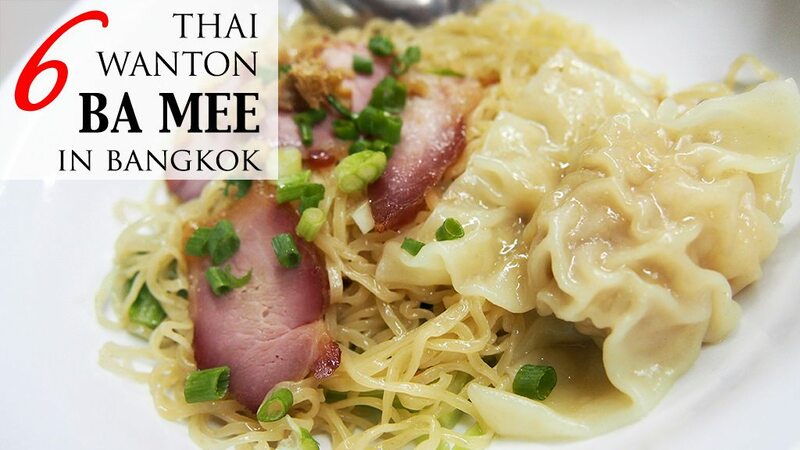 To eat this, you have to queue due to the limited number of seats too. You have to try the fresh cockles dipped in their special sauce. As this is located at the end of Phadung Dao Road on the other side of Chinatown, not many people will know of this shop. 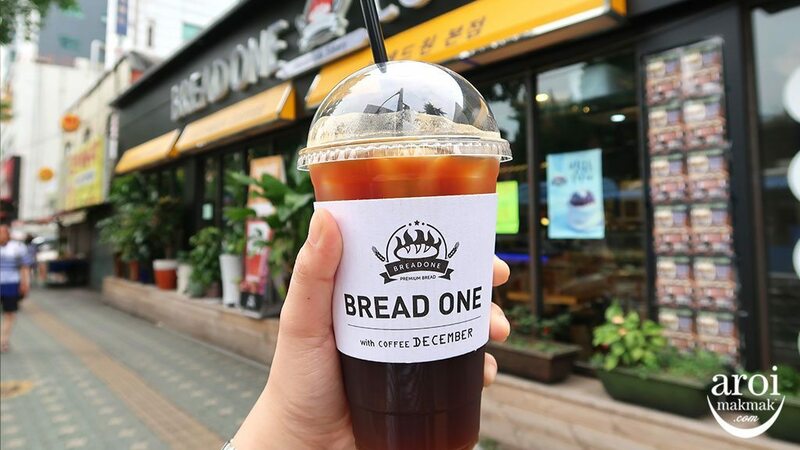 They specialise in thai toast and thai milk tea. 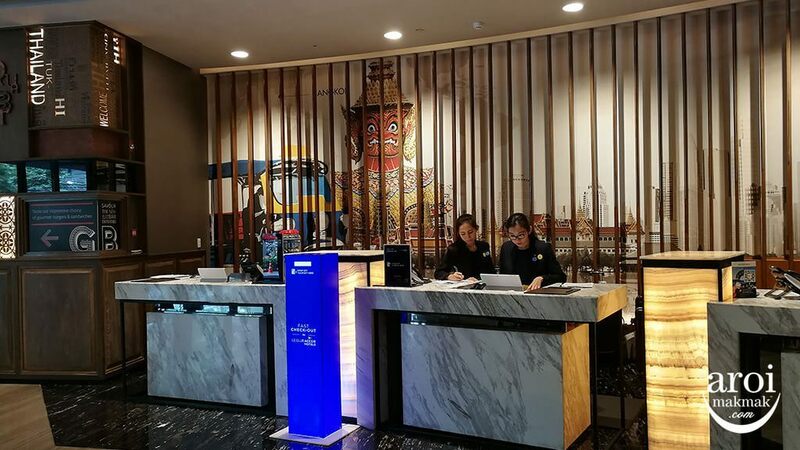 A good place for traditional bread and drinks. 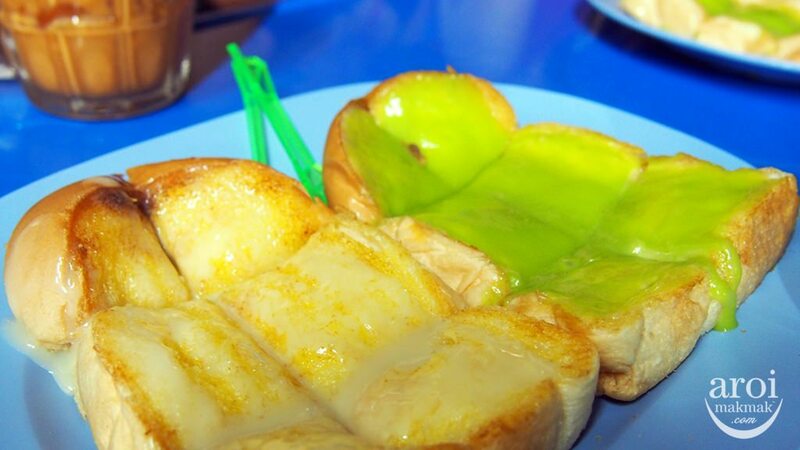 Other than Mango Sticky Rice, there are also many thai desserts which is quite similar to Singapore’s Ice Kachang. Of course, the filling is different and it’s uniquely thai in flavour. 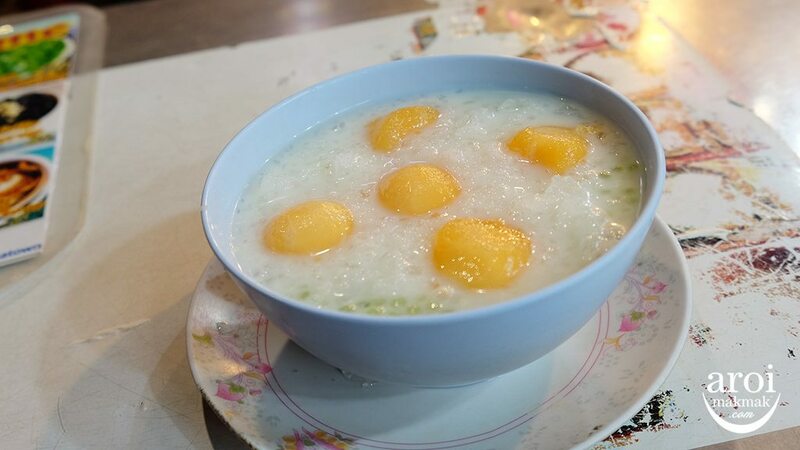 For hot desserts, they are famous for their ginger soup and it goes well with Tao Huey (Soya Beancurd). 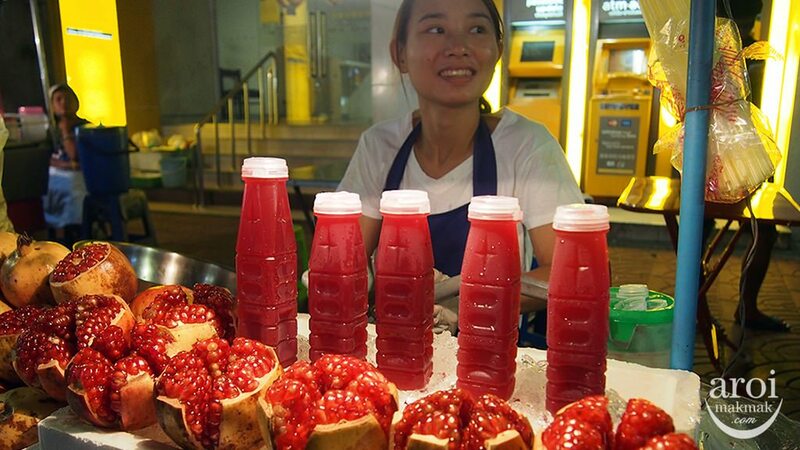 Freshly squeezed Pomegranate Juice! 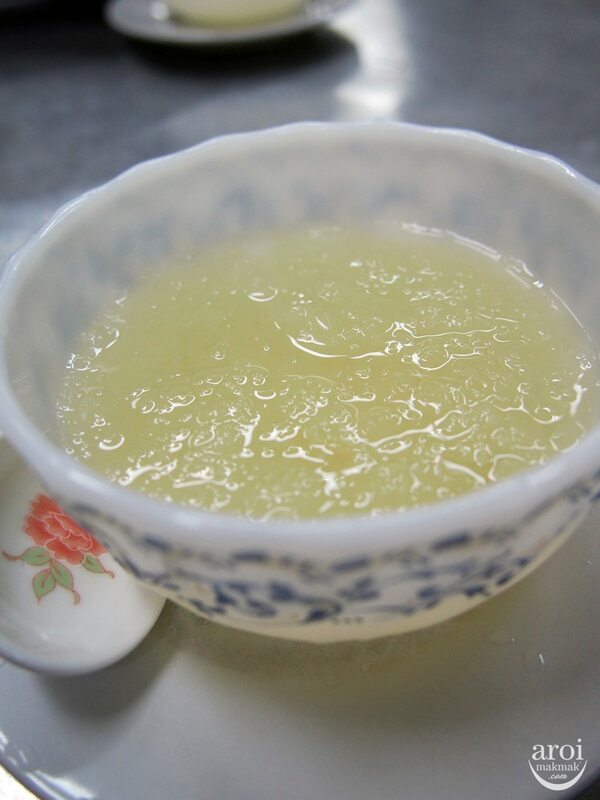 It’s full of anti-oxidants and is a healthy drink which you should try! Mango slices. 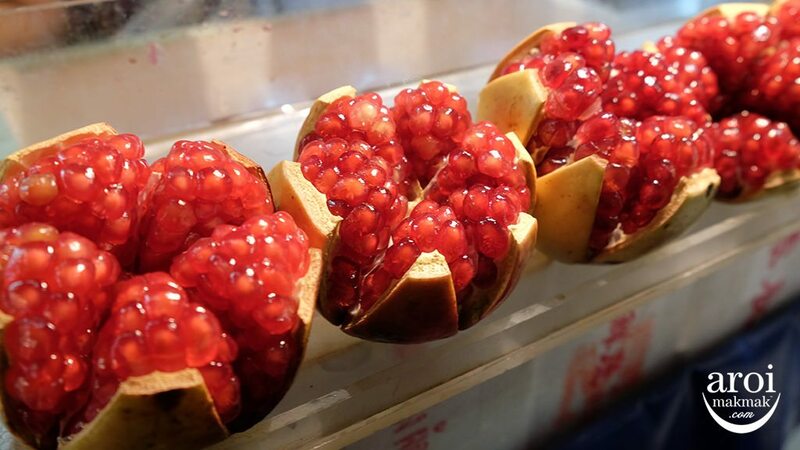 They are usually sold on fruit carts and they will only cut it up when you order so you won’t know if it’s half-ripe or ripe. I like this version as it’s soft and juicy. 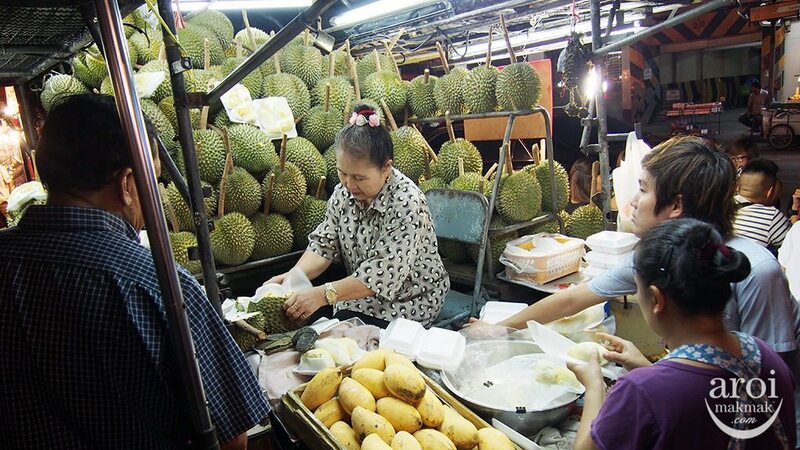 This durian shop has been around for a very long time. In the past, this auntie use to sell the fruit from her pickup truck. On my recent visit, I no longer see her truck but she now sells from a standalone stall. 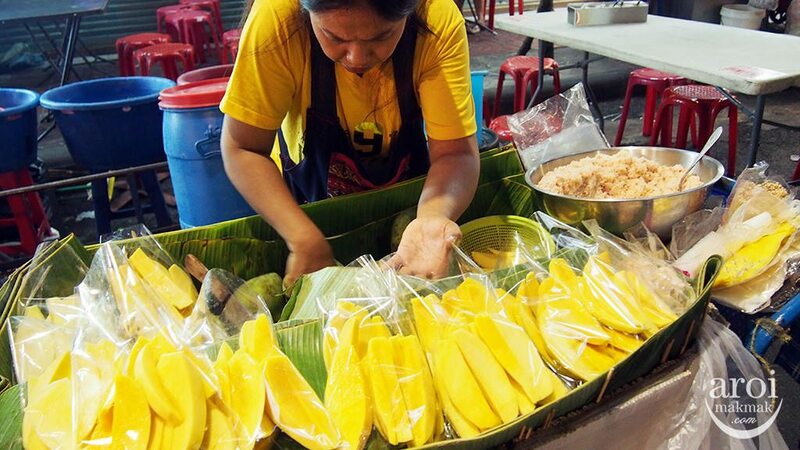 Eating durian in Thailand is easy as it comes with a wrapper and hence it will not dirty your hands. 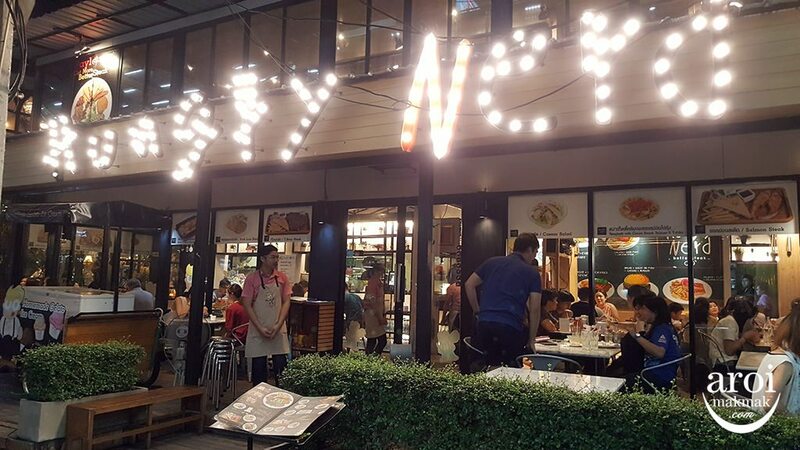 After your food trial, don’t leave Yaowarat yet. 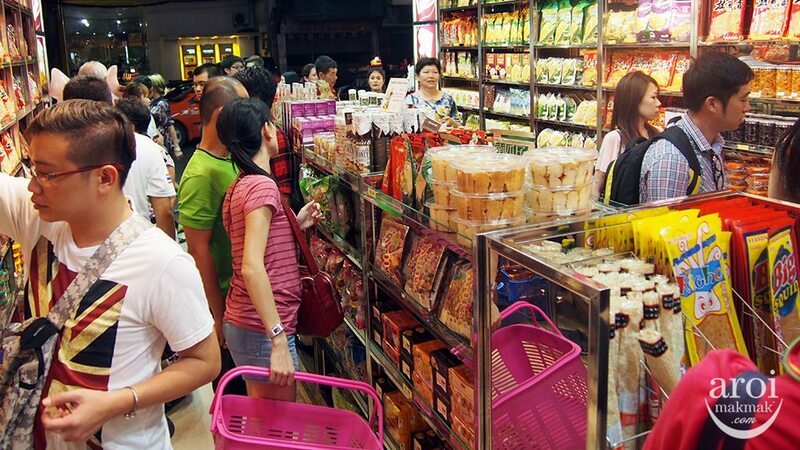 Drop by this shop Lin Zhen Xiang to buy some thai tidbits and snacks back for your friends and family. 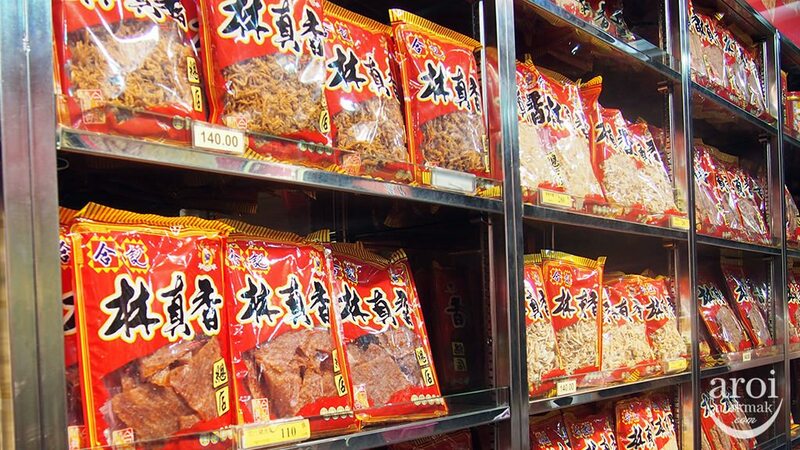 They sell pork related stuff, cuttlefish, dried fruits, tea, etc. You will surely find something to buy back. This is the best Kway Teow Kua Gai I have ever eaten till date. 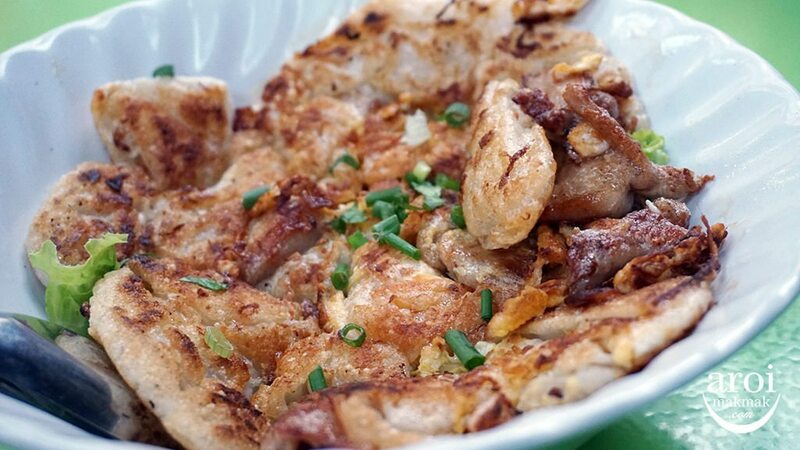 The kway teow is fried till perfection with wok hei in it. 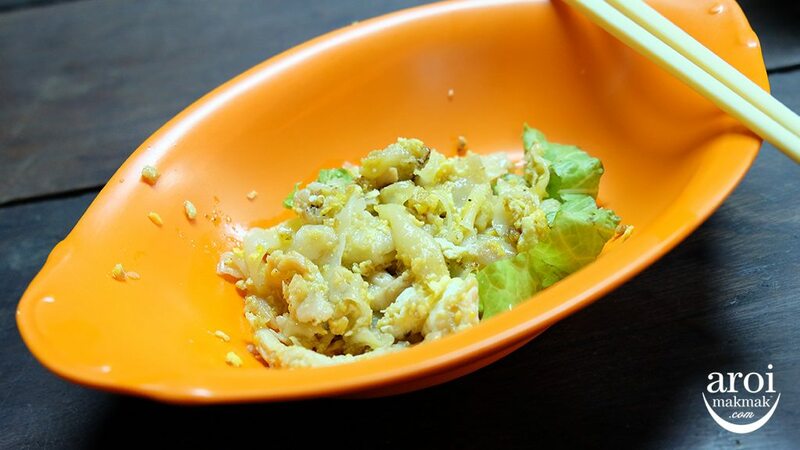 All the ingredients including the egg and chicken blends well together, making a very delicious dish. Despite having no dark soy sauce, it still tastes very good. The only complain I have is its extremely small portion. One bowl can be finished in 2 mouthfuls. You must be able to accept eating in the back ally though. DON’T ever take photo of the chef cooking or else you will scolded. Don’t say I did not warn you! I contemplated for a long time before deciding to include this hidden place because of the “service and hygiene” standards. But the deliciousness just tells me that I have to share. Do they open on 07/02/2016 which is the eve of chinese new year? They should be open but no guarantee. It’s best to call them before going down. 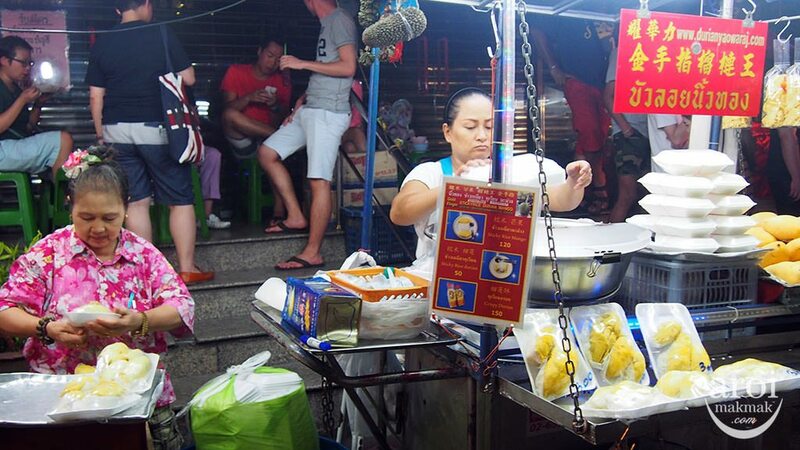 better to go in the night as there are more street food in the night. in the day time, there’s just stalls open. yes, you are right. the nearest MRT is Hua Lumphong but it takes about 15mins walk into Chinatown. which place do you refer that is closed? 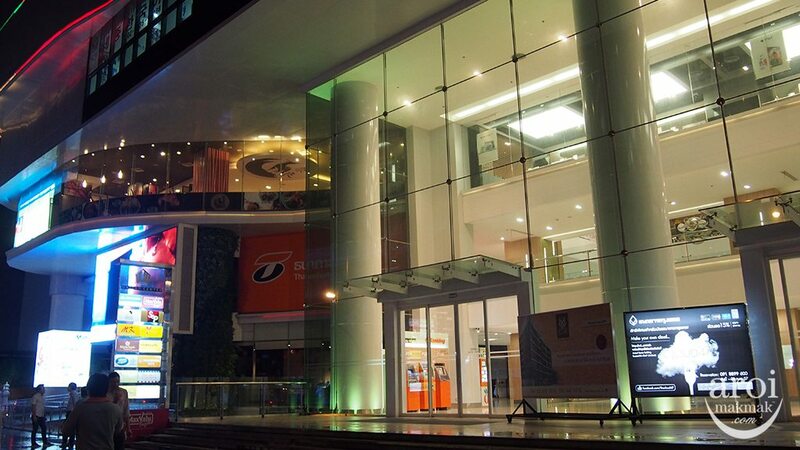 open around 6pm – 12am. some stalls may close early though. The toasted bread also open at night? that particular stall don’t allow so ya… be prepared for raining weather. Just tell them Yaowarat will do. It is hot as usual but of course do be prepared for some rain. You can get there via taxi/uber/grab. 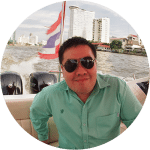 Hello, do you recommend going yaowarat on a Sunday, 28 jan 2018? 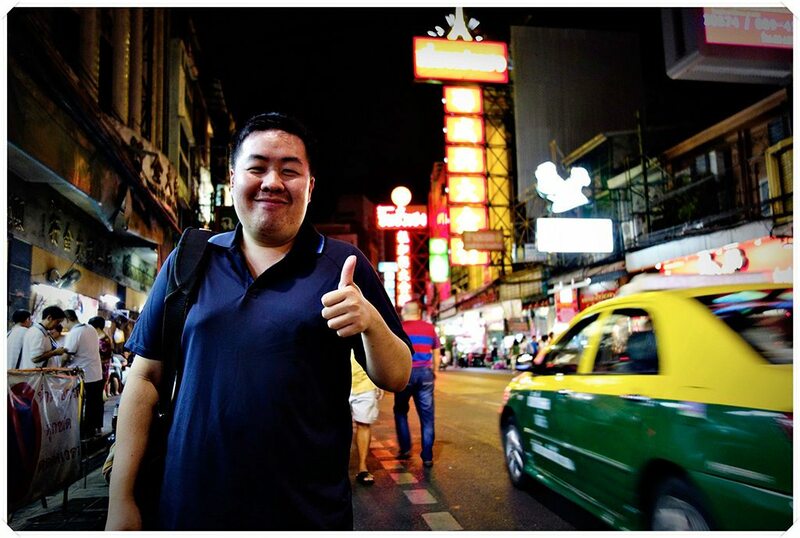 If we are taking grab taxi, do we just have to put the destination as “Yaowarat Road”?